How to make the World's Best Blueberry Buckle - A Blueberry Coffee Cake! Want to make the best blueberry coffee cake you've ever had, and don't want to spend all day in the kitchen combing the Internet or studying complicated recipes? This "Blueberry Buckle" Coffee Cake is so easy and has stood the test of time. This is a great crumb-topping blueberry coffee cake that my mother made for December ades. I thought it was a secret Pennsylvania Dutch, Amish or Mennonite recipe, but I've since seen variations of it elsewhere. Whatever it's origins, it's the best blueberry coffee cake you'll ever taste! 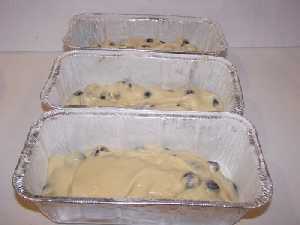 What makes it different from other blueberry coffee cakes is: it is light; moist, filled with blueberries, has a great crumb topping, and there's really not a lot of sugar in it. Plus you can substitute Stevia (in a prepared form like Truvia, it measures same as sugar; if you use another form, you'll need do your own conversion) - or Splenda, if you prefer, for half the sugar, if you want - see this recipe for the sugar-free version! And it doesn't matter if you're not a chef or have never made a coffee cake before! Following these illustrated directions ANYONE can cook a perfect blueberry coffee cake! 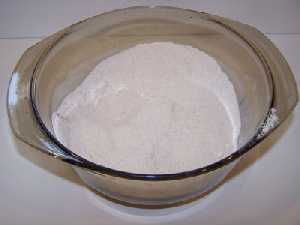 (if you want the sugar-free recipe, click here!) 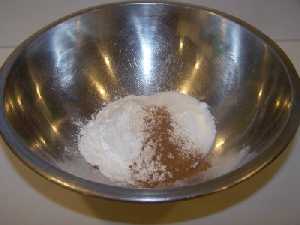 And yes, you can use an equivalent amount of honey or agave (1/2 cup); Stevia (as Truvia, 1/2 cup), or Splenda (3/4 cup). But you really get the best results using sugar. Stop fooling yourself: this is blueberry coffeecake, not diet health food! Blueberries... blueberries... How many to add? It is really a matter of taste. 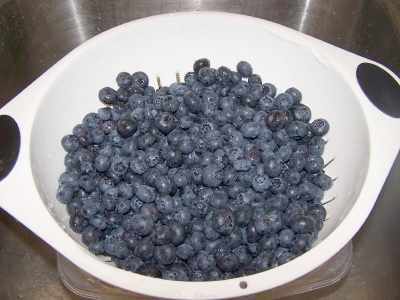 I like a LOT, so I add 2 cups of washed , whole blueberries. 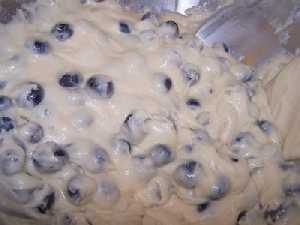 If you alike loads of blueberries, use 2 cups; if you like a standard blueberry buckle, add 1 cup! Most recipes call for 1 cup. One 9 inch deep-dish Pie Plate - OR 2 small meat loaf pans, or a round casserole dish. Grocery stores sell both disposable coffee cake and meat loaf pans and glass pans. 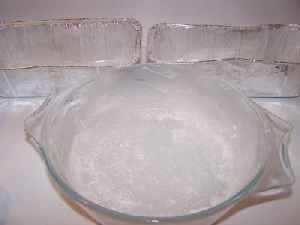 Just rinse them in a colander or sieve in cold water, no soap. Pick out and remove any bits of stems, leaves and soft or mushy berries. 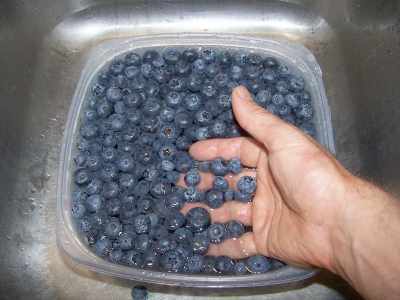 It is easiest to do this in a large bowl of water and gently run your hands through the berries as they float. With your fingers slightly apart, you will easily feel any soft or mushy berries get caught in your fingers. 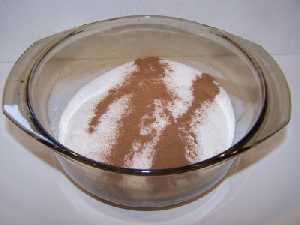 Now is also a good time to get the oven preheating to 375 F.
Combine the 3/4 cup sugar, 2 and 1/2 teaspoons baking powder, 1/2 teaspoon salt (optional) and 1/2 teaspoon cinnamon in a bowl and mix well! 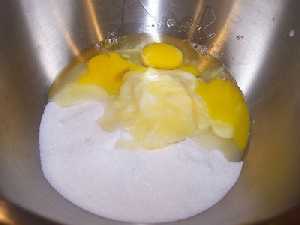 Add the 1/4 cup soft butter (or margarine or vegetable shortening), the egg and using a mixer (hand, electric, or just a large spoon, whatever you have) , mix it up! 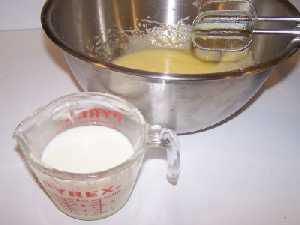 Add the 1/2 cups milk and mix it up. 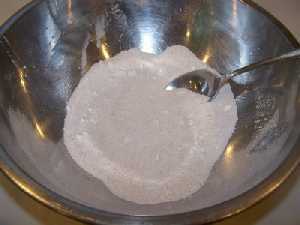 While mixing, stir in the 2 cups of flour! (it's just like making pancakes). 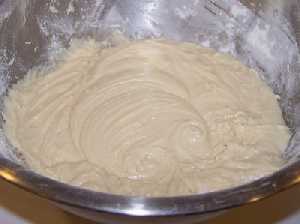 It will end up like very thick pancake batter. You may have to finish mixing by hand . Add the blueberries and gently mix it. You don't want to crush the berries, but it won't matter if some get crushed, either! Of course, nobody in their right mind uses grease or lard anymore! 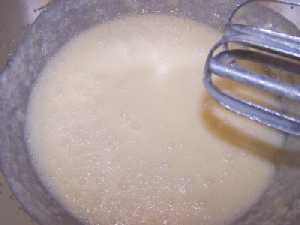 It just means put a thin layer of vegetable shortening, margarine or butter over the interior surface of the pan (using your fingers), and then put 1 tablespoon of flour in the pan and swirl it around so all surfaces are coated. 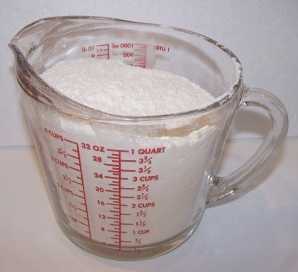 then dump the excess flour into the trash or sink. 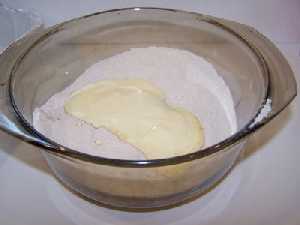 Just pour the batter into the the pans. It should only fill the pan about half way up! It WILL rise, don't worry! Pretty self-explanatory, don't you think? 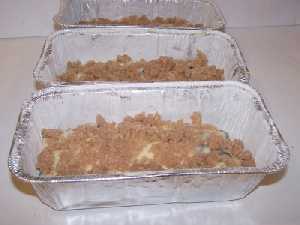 Step 11 - Put the coffee cake in the oven! 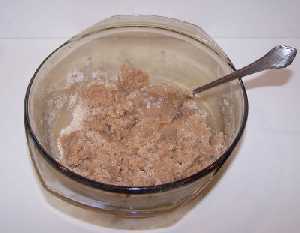 Cook the coffee cake at 375 F (or 190 Celsius) for 45 minutes. Set the coffee cake on a rack to cool and enjoy! Here is a slice of the finished coffee cake! Serve warm! It also freezes well for another day!